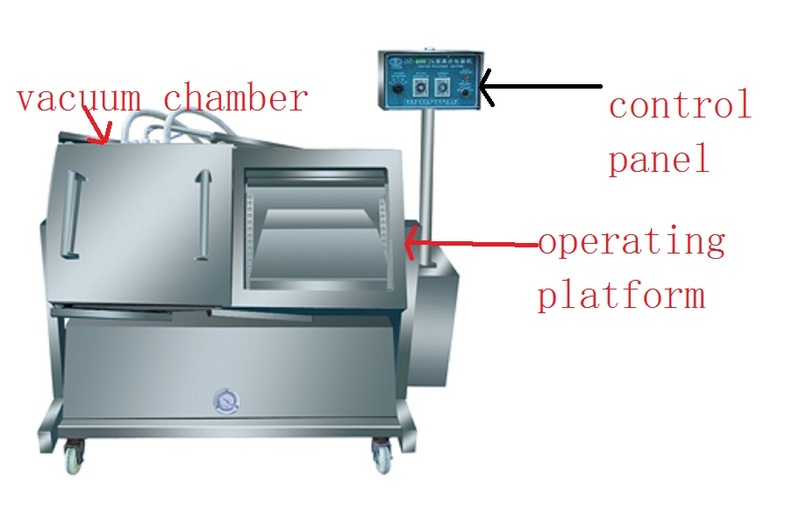 Foodstuff Vacuum Packing Machine is Pinenut Vacuum Packing Machine. It is Chicory Tea Vacuum Packing Machine. It is Fruit Tea Vacuum Packing Machine. The tilt type packing machine for aquatic products is suitable for aquatic products, vegetable, cutting chicken and meat, quick frozen food, by products, exporting poultry products, etc. It can tilt four angles: 0o , 10o, 20o, 30o . It can satisfy all kinds of packaging requirements. It uses waterproof design, match German imported heating equipment. One person use one finger can operate it. It can save time and labor. Its quality and capacity reach international level. National patent number is ZL200920239955.7. It has passed ISO9002,ISO9001 quality authentication and 3C quality authentication. Our company has the self-management export and import right. Functions: 1. Maintain food's freshness and original flavor. 3. Extend product shelf life. 4. Prevent electronic and hardware parts from oxidization. 5. Available for special applications. Application: 1. Fresh meat,seafood, pickled vegetables, agricultural products, herbs, powder, spices, bear paste and prepared foods,etc. 2. Electronic parts, hardware products, medical instruments, medicine, clothing or blankets,etc. 1. Our packing machine can tilt four angles:0o , 10o,20o,30o. It can satisfy all kinds of packaging requirements. 2. This machine has special water-proof design. 3. 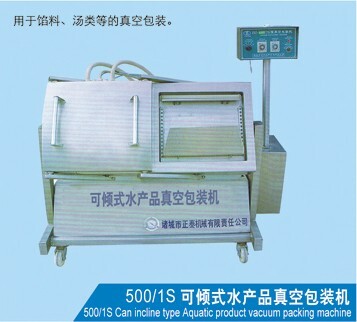 This machine is especially suitable for aquatic packaging. 4. 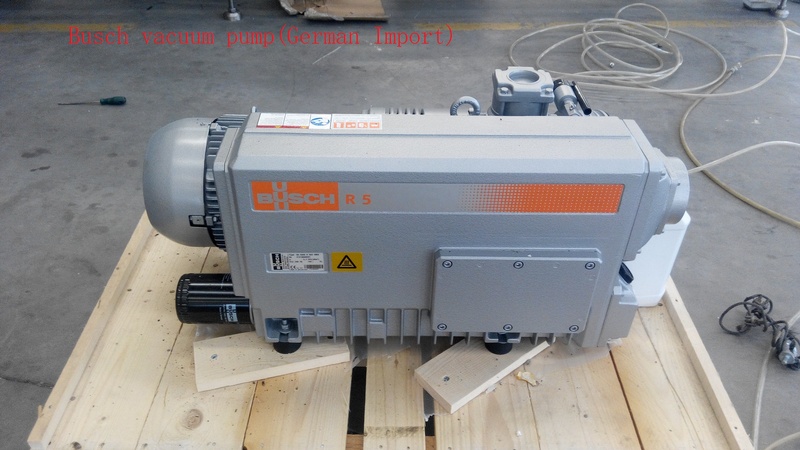 Germany imported vacuum pump. 5. The packaging machine circuit protection switch is monolithic, large diameter valve. 6. Plate thickness of studio is 4mm(stainless steel model 3042B). 7. The ribs and the material reinforced, meet imported level. 8. Stainless steel frame body, the bottom of the studio all welded stiffeners. 9. The control system uses digital pointer. 10. The heating transformer type BK1000 Power: 380V/50HZ. 11. Vacuum tube is made of silicone tube, life greatly improved. 12. Kit details: heating bars, isolation cloth. 1. Our company, established in 1996, owns the matured and perfect technology, and our engineers have rich experience to ensure the high quality of products. 2. Xier has past the ISO9002,ISO9001:2008 quality system authentication and 3C authentication , has the self-management import and export right. 3. The company has the service-after department and solves the customer's problems quickly and timely. 4. We have the reliable transport company with long-term cooperation and provide the best transport solution for the customers. Looking for ideal Pinenut Vacuum Packing Machine Manufacturer & supplier ? We have a wide selection at great prices to help you get creative. All the Chicory Tea Vacuum Packing Machine are quality guaranteed. We are China Origin Factory of Fruit Tea Vacuum Packing Machine. If you have any question, please feel free to contact us.